Local network operator NetOne placed an advert in today’s Herald talking about the introduction of a new roaming option for its Easycall subscribers. Labelled as “A first for Zimbabwean Roaming, ” the new Easycall prepaid roaming option allows subscribers who are using the roaming facility to recharge their lines with airtime from MTN when roaming in South Africa. To activate it simply SMS the word “Roamon” to 34444 and to recharge from an MTN card you dial *222*Recharge Pin#. This service will undoubtedly benefit the numerous Zimbabweans engaged in cross border activity across the Limpopo. It sounds handy if you want to have access to convenient recharge options that every MTN airtime vendor provides once you are in South Africa. It would seem that NetOne is playing on whatever ties it shares with MTN (is MTN keen on investing in NetOne again?) to introduce a service that will appeal to this cross border demographic in an effort to boost ARPU and perhaps boost its subscriber numbers. This of course, is assuming that someone would be keen on dropping their Telecel or Econet line which already has roaming facilities just to be able to recharge with an MTN recharge PIN. 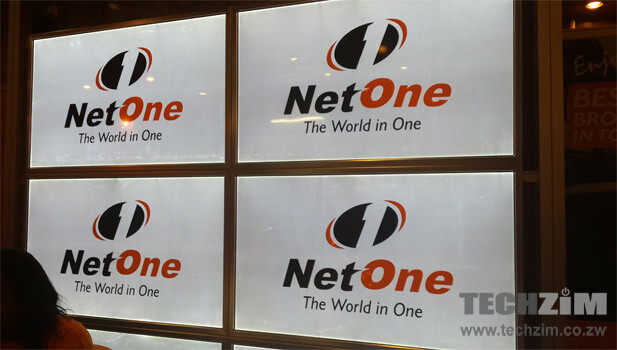 For NetOne it’s all part of adjusting to a more aggressive telecoms environment, what with an exploration of services like datacasting and plans to play catch up with its introduction of WhatsApp bundles. So if Netone can make a cross network recharge arrangement with a South African network why can’t they do the same with the local networks? Wouldn’t it be a huge convenience to be able to recharge any line with whatever recharge card you buy from an airtime vendor? @techzim it is also possible to recharge mtn line while roaming in Zimbabwe with Netone. I understand from an ad I read on the MTN website a few months back, it is possible to recharge your MTN line in Zimbabwe with a Netone recharge card. Look up on the MTN website to confirm. You should probably have mentioned basic pricing information. How much will it cost to call an MTN number from Net1 number while roaming in SA? When one tops up with a Rand denominated recharge card, is the amount immediately converted to USD (and at what exchange rate (middle rate or skewed rate))? This is a great question. I was hoping Techzim ppl would have responded by now.. Where the hell are they?? I understand from an ad I read on the MTN website a few months back, it is possible to recharge your MTN line in Zimbabwe with a Netone recharge card. Look up on the MTN website to confirm. You will need to activate roaming before you depart from South Africa. So I obtained a recharge voucher for MTN face value R2. and tried to recharge with roaming activated while i Harare. It turns out that *222*xxxxxxxxxxxx# will not work unless you are on the MTN network. Kind of expected but would have been a nice way of sending airtime to loved ones from S.A to Zim.